At age 22, strength coach Josh Bryant was the youngest person to ever bench press 600 pounds raw. Learn 5 key strategies he uses to turn regular guys into Herculean freaks! Few things are as coveted as a Herculean bench press. A big bench press is a test of manhood in high school, and it's the exercise many weekend warriors use to assess their strength. Athletes and coaches place a premium on a big bench. It showcases upper-body strength and tests shoulder joint integrity. It requires fortitude to complete a grinding lift, loaded with weight capable of crushing the person beneath the bar. Powerlifters are most concerned with a bigger bench press because it drives up their three-lift total. Bodybuilders and people with physique-oriented goals know that a bigger bench equates to a larger, rounder, fuller chest as well as bigger shoulder and triceps muscles. Even if you aren't an athlete or don't have aspirations of becoming a powerlifter or bodybuilder, building a bigger bench press will at least give you bragging rights at your local gym. When I was 22, I became the youngest person ever to bench press 600 pounds raw. I've since focused on personal and online training. My methods have produced a number of lifters who have eclipsed that same mark. If you want to build a beastly bench, try these strategies adapted from my e-book "Bench Press: The Science." They've propelled many seasoned lifters to uncharted levels of strength! If lifting a barbell is a war, then your central nervous system (CNS) is the general directing the battle. Compensatory acceleration training, or CAT, is lifting sub-maximal weight with maximal force, which teaches the nervous system how to recruit more muscle every time you lift. By building explosive power, you can blast through sticking points, which is the key to a big raw bench. Lifting a weight with the intention of being explosive will make a weight feel lighter, which will help you when you come against the heavy iron. Need proof? Do dumbbell bench presses with 50-pound dumbbells quickly, and then do a set slowly. The weight feels lighter when done quickly, right? Developing such power is useful; when you go back to maximal weights, you can't intentionally lift them slowly. You have to push with all the force you've developed. A dead bench is done in a power rack with the weight resting on the pins set just above your chest. The weight starts at chest level—not in the arms-extended position—and is pressed up as explosively as possible. The bar must settle on the safeties between each rep. You won't be able to lift as much weight this way because of the absence of elastic energy that builds up on the negative portion of the lift. Because of this, you'll develop tremendous starting strength at the bottom of each rep. Some variables to increase intensity on the dead bench are shortening rest intervals between singles, adding more singles to the same weight, and adding more weight. Let's compare two prospective workouts. In Workout A, you do 8 sets of 3 reps. In workout B, you do 3 sets of 8 reps. You complete both workouts and hit 24 repetitions in each one. However, in Workout A, you did 8 first reps because you did 8 total sets; in Workout B, you only did 3 first reps because you did 3 sets. Since you're training for a one-rep max, the first rep of every set is extremely important. Even when training with loads as light as 50 percent of max, most powerlifters keep the repetitions low, opting to do more sets to achieve volume when it's needed. 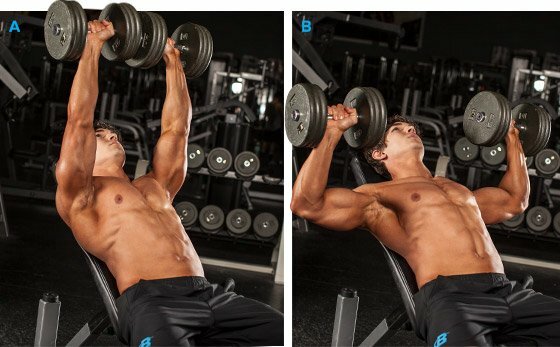 The old adage "curls are for girls" doesn't apply when it comes to moving heavy iron on movements like the bench press. Very few men with spaghetti arms bench press huge weights. Obviously, the triceps are crucial to lock out the weight and can be built through close-grip bench presses, board presses, various extensions and press-downs, and a plethora of other exercises. However, don't forget the biceps because they help stabilize the joints (as an antagonist muscle to the triceps), and strong forearms help you squeeze the bar tightly. This will make the weight feel lighter in your hands. Your central nervous system isn't adept in differentiating between a real experience and an imagined one. 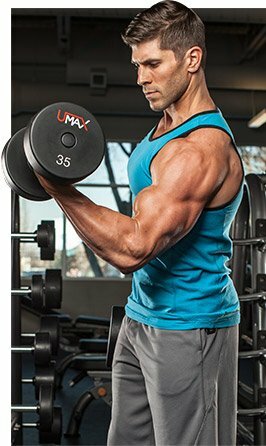 Set some time aside every day to visualize blasting through maximal weights. Go to the gym, load your goal weight on the bar, stare at it, and envision yourself lifting it. The more vivid the experience, the more real it is. When you eventually attempt the weight, you'll only be going through the motions because you've done it over and over in your head. Think you get results from working yourself to death in the gym? It's time to focus your efforts on what you do outside of it.